Certification Books (MCAD, MCDBA, MCPD, MCTS, etc). Lets understand how to embed code formatting in Asp.net Application. This can be useful while user enters the code online, and we need to format the code and able the preview the same. Example, on online forum or blog if user enters code, application should be smart to understand the part of code and able to format. This Code Format utility used Manoli Csharp Format, I have used the sourcecode and demonstrate how this can be useful to implement code format in asp.net application. To accomplish this task, download source code of manoli csharpformat. Step2: Compile the Class Library Project to generate binaries. Step3: Create an asp.net application, while will be used to display Formatted Code. Step4: Right Click project and Add Reference. Step5: Add csharp.css file available with Manoli Code Format Sourcecode. After adding .dll file and .css file your solution explorer. Step6: Add the 2 textbox controls, 1 button control and 1 label control. 2 – Textbox control, 1 for taking input and other for displaying generated html code. 1 – Label control for displaying preview. <%@ Page Language="C#" AutoEventWireup="true"  CodeFile="Default.aspx.cs"
- You can create object for each language you wish to format. Step9: Writing a Code to make everything works. /// and returns Generated HTML Code. Similarly you can use different combination of language and output can use the code format utility in asp.net application. How to Sort Numeric String in SQL Server. Note: The Example I am going to discuss is the solution for above mention criteria, understand it and you can be able to derive solution for your problem. I want to sort a string like this. Lets go step by step and then letter sum it up. Step1: To undergo this task I need to extract characters from left till this “-“ or “+” character. Now lets extract part of string by using substring function and case select statement. So this gives us extraction of Part of string from string. You can also see trim right portion of string. Now casting the string and displaying in sorted order. Casting string to int and applying order by for sorting. This method is not optimal, as we are using functions within function to achieve task, but yet you can achieve the solution, if anyone of you know more better way to achieve same task than please share. Best Wireless Keyboard and Mouse. Is best keyboard and mouse, how lets consider few factor on which i came to conclusion and which turns to right decision. Few days back i was like one of you searching on net for best wirless keyboard and mouse, i had read reviews on circuity city, bestbuy websites, but they were making me more confuse., oops and schemes, discount, special offer for buying low cost keyboard, mouse were making the situation worst. 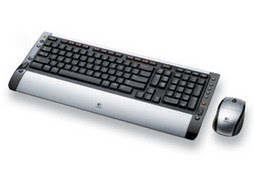 Ok let me share how i have conclude that Logitech Cordless Desktop S 510 is best keyboard and mouse. Performance when operating from far Distance, signals are not fadeing and they are accurate. Battery Life, it is most power saver keyboard and mouse as compare to other products available in market, which was another factor which made my decision easy. Cost Effective, Smart choice. There were lot of keyboard i came across which were available for as low price as 20 bucks, but when i compare with power saving and ease of use, most turns to headache. Keyboard is Smooth and soft, it is not making disturbing noice, which seems important when you work during late night. I am personally using these pair of keyboard and mouse from last 3 months and it had made my life so easy that made me share my experience. Had anyone notice that specially for Friday the traffic from Search Engine to the website was the lowest? What happen suddenly i have re-check and feeling that things are not normal for friday, but now everything seems undercontrol! If anyone of you got the conclusion of problem with Search Engine on Friday, than share your knowledge. Problem: How to disable button immediately on user click in asp.net so that user cannot click multiple time. Solution: To solve this problem use regular html button, including runat=”server” attribute and write the disable client-side click event which disable button immediately and server-side event which runs the actual code for click event. Client-Side Event to disable button immediately. And following button code in body. Button Control – HTML Button instead of Asp button. Visual basic support “InStr” Function, which Returns the starting position of the specified expression in a character string. To perform same task in SQL Server used CHARINDEX Function. “CharIndex” Function is equivalent to “InStr” Function of SQL Server. here start position is 5.